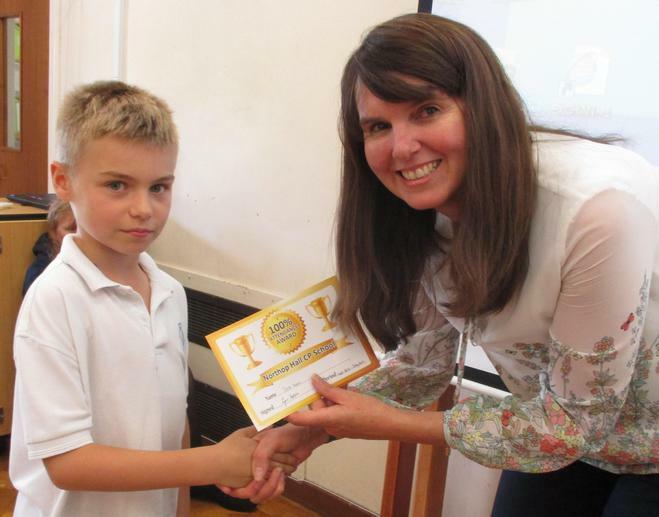 At the end of the school year, we award certificates for excellent attendance to our pupils. A group of children who had almost perfect attendance were presented with their certificates, but the biggest praise and special certificates were saved for those with 100% attendance. Congratulations to Harry and Charlotte in Year 1, Imogen in Year 2, Harry, Lincoln and Elin in Year 4 and very special congratulations to Jack in Year 5, who has had 100% attendance in consecutive years. Having good attendance is so important to ensure the very best opportunity to make excellent progress. Who will be aiming for 100% next year?